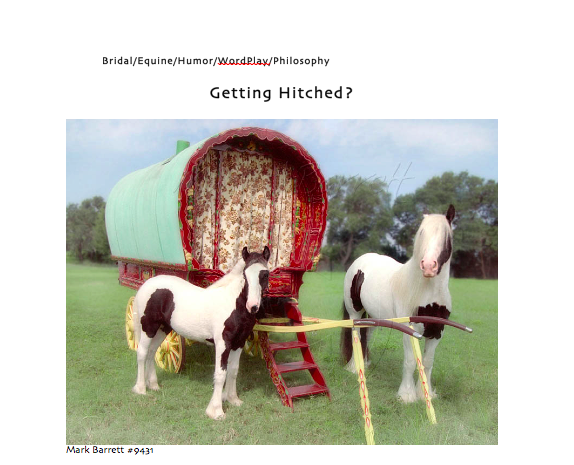 As you can perhaps tell from the image above, my first book, Horsing Around: The Inside Word on Marriage and Horses, has become a collector's item. It is a 10x10 coffee table book rich with illustrations that enhance the narration about the words in common between marriage and horses. 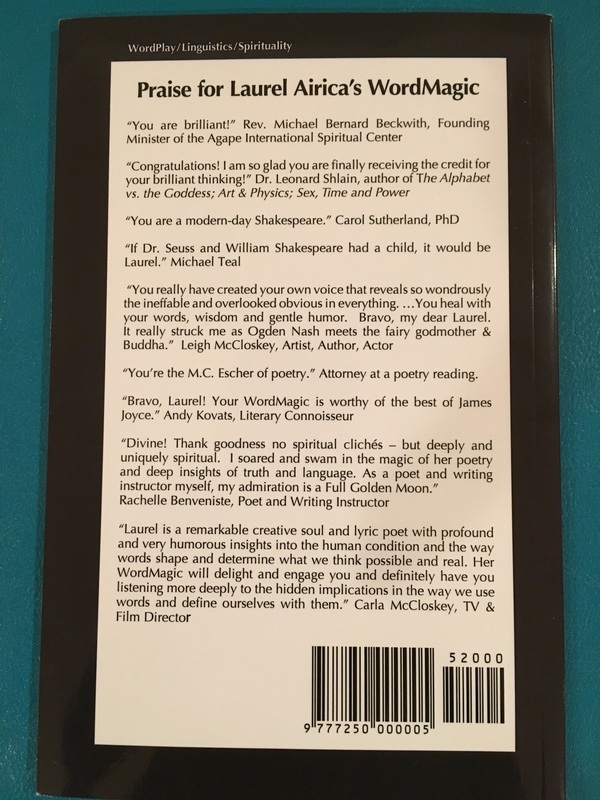 Below is the preface and the back cover copy. There are only a limited number left. Each costs $50 (plus tax & postage). If you are interested in purchasing a copy, please contact me directly. The powerful bond between humans and horses goes back through the ages. Still, you may be surprised to see to what degree we continue to equate our most intimate relationship with our equine companions. Horsing Around unveils the connection between marriage and horses. It offers tantalizing food-for-thought for everyone who enjoys horseplay and wordplay – but especially for those who will soon be stepping up to the altar to alter their lives forever. If you are one who intends to be wedlocked – and are feeling even the slightest trepidation about entering the marriage ring – you may be surprised to find your fears vindicated by Riding English – and Jumping to Some New Conclusions. In this reflection on words related to relationships, which composes the Post Script of this engaging book of photography and philosophy, you’ll behold some old words in a new light that may illuminate your reservations along with others that offer some useful solutions. Riding English reveals what happens when words with no apparent foundation for a lasting relationship get attached to each other like sonic soul mates. Through numerous examples of this ‘Homonym FUNomenon,’ author Laurel Airica demonstrates how some anagrams and puns function like linguistic Freudian slips that offer an insider’s look at our outlook on life while others are the Secret PathWords that point toward lasting happiness. According to a recent Gallop Poll, couples who are hot to trot down the bridal path would do well to rein in their fanciful notions of marriage as one long, blissful roll in the hay. Those who stay hitched for the long haul are the ones who are ready – right at the starting gate – to jump every hurdle in tandem and to clear all the obstacles life brings their way. The ultimate secret for becoming a winner in the Human Race. 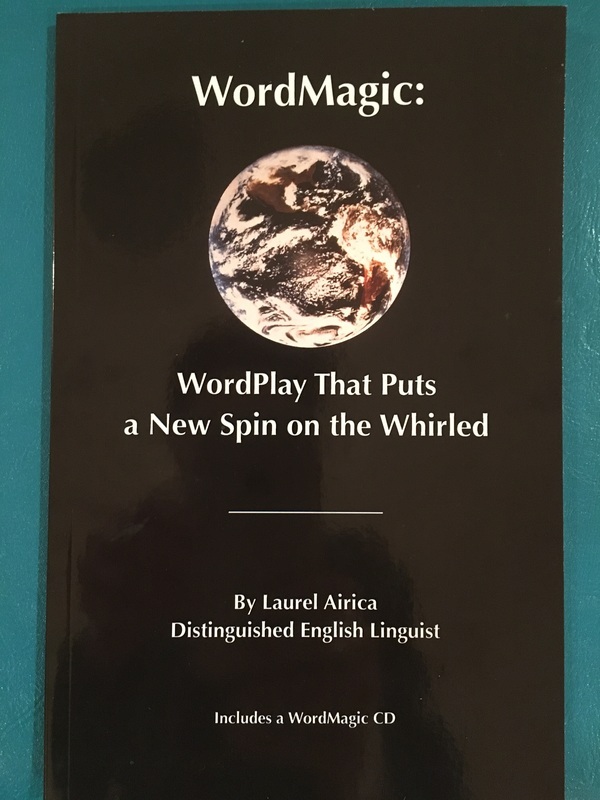 WordMagic: WordPlay That Puts a New Spin on the Whirled! The book and CD cost $20 (plus tax and shipping). Please contact me directly to receive a copy.